On your mark, get set and go to Guam this November and experience the island’s biggest and most exciting weekend for runners of all ages! 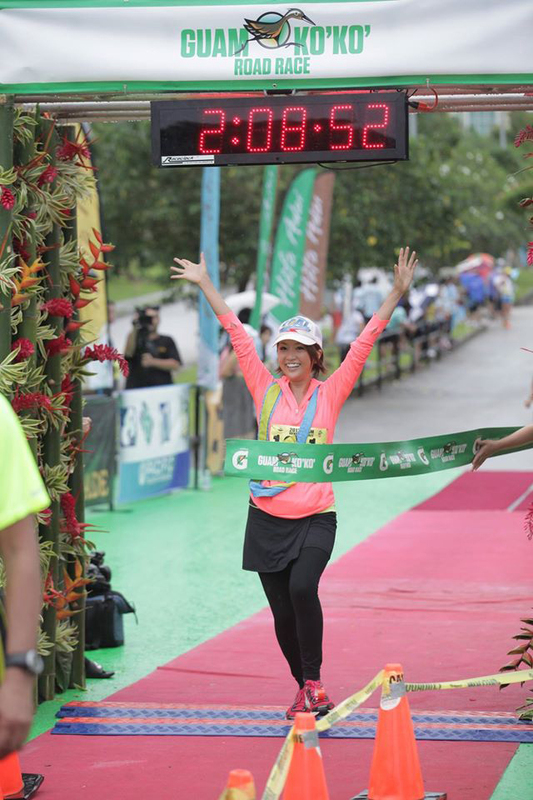 The Guam Ko&apos;ko&apos; Race is the island’s premier ekiden relay and half-marathon, named after the indigenous Guam rail, also known as the ko’ko. Guam’s ko’ko bird is a flightless bird that is near extinction due to population decimation by the brown tree snake, pesticides and other introduced detractors. Ongoing efforts to save the ko&apos;ko&apos; from extinction, including the GVB signature Guam Ko’ko Race, have made a significant impact on increasing public awareness and community involvement. On November 7, the Guam Ko’ko Kids Run returns to deliver a fun-filled running event for little ones as young as 4 years old, all the way up to 12 years. The Ko’ko Kids Run is a popular family event that makes health and fitness exciting and enjoyable for kids with energizing warm up exercises, age-appropriate runs with distances between 1K and 3K, games, cultural activities and more. On November 8, the running momentum continues with the 10th Annual Ko’ko Half-Marathon and Ekiden Relay. Last year, over 2,000 runners participated in this GVB signature event, including runners from Japan, Korea, Taiwan, Hong Kong and the Philippines. Participants can run the individual half-marathon (13.1 miles) or join the Ekiden Relay with a team of 4 (each member runs 5K). From start to finish, the Guam Ko’ko Race promises a weekend of motivation, inspiration and all around positive energy for the entire family. Come enjoy this ‘Only on Guam’ experience next month! For more information, or to register for the Guam Ko’ko Race, visit http://www.guamkokoroadrace.com.